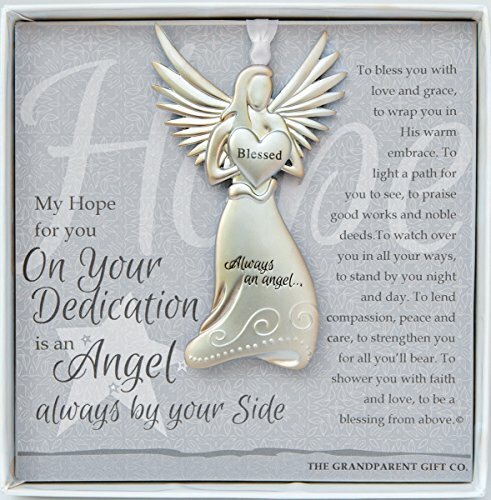 Make your godchild’s Dedication Day more special with this medallion ornament containing a guardian angel with a short prayer. The short dedication and prayer will help keep baby safe, and guide them towards a more peaceful sleep. 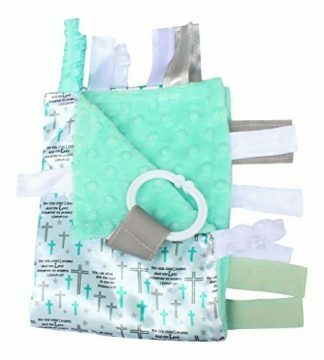 Surprise their lovely parents during Dedication, Christening, or even during the Baby Shower with this unique gift. 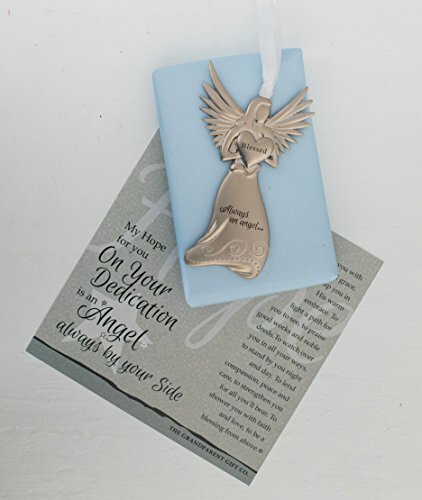 Make a baby’s baptism, christening, or dedication day more special with an equally unique and special gift such as this guardian angel medallion ornament. 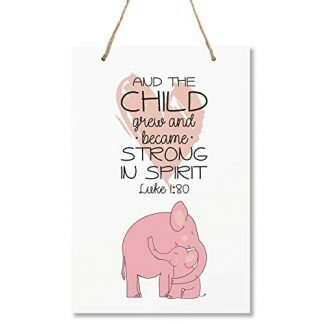 It contains a beautiful dedication, and will make for a great decor for baby’s nursery room. This gift will certainly be a delight – not just for the baby, but for the parents as well! 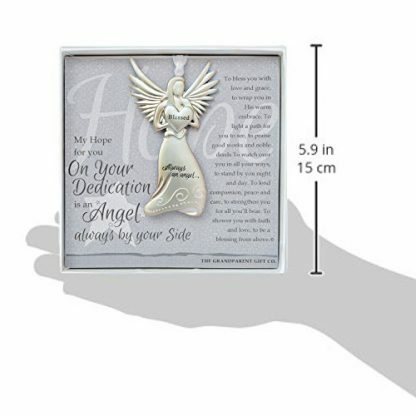 Your godchild or grandchild will not exactly remember what happens during their dedication day or baptism, but with a keepsake such as this guardian angel medallion, they will certainly feel how much they are loved and cherished all throughout their life. They will certainly appreciate this keepsake and preserve it for years to come. 4″ x 2.25″ metal angel medallion with white satin ribbon for hanging to celebrate child’s dedication day. Comes with an “On Your Dedication” sentiment paper card printed on 100# cardstock. Dedication gift is packaged in sturdy white 5.5×5.5″ gift box with clear lid. Dedication angel to be displayed anytime of the year or saved as a baby keepsake. Additional customization: Ornament can be engraved with a personalized message along with baby’s name and date if the giver chooses to do so. 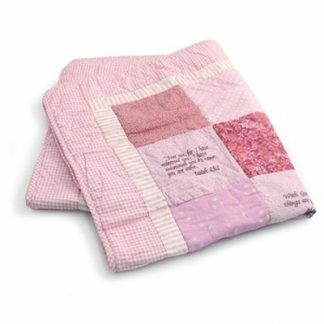 A beautiful Dedication keepsake gift for a baby or child. 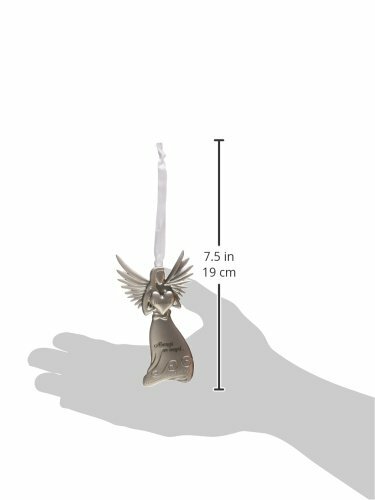 The detailed metal angel medallion measures 4″x 2.25″ and hangs on a white-satin ribbon, perfect for holidays or year-round display. The angel is gift-boxed with heartfelt words printed on a poem card and packaged in a 5.5″ x 5.5″ white box with clear lid. 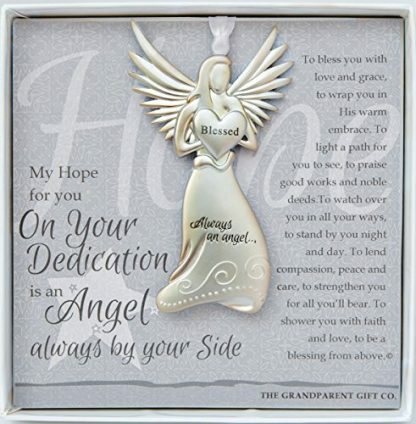 The angel is a treasured Dedication gift for baby from loved ones and can be additionally engraved should the giver choose to add a personalized message, along with baby’s name and date on the angel. Grandparents, godparents, aunts, cousins, and uncles who are looking to make a baby girl or boy’s dedication day more special and memorable can count on this keepsake medallion ornament gift!